"ON EVERY STREET IN EVERY CITY IN THIS COUNTRY THERE'S A NOBODY WHO DREAMS OF BEING A SOMEBODY." 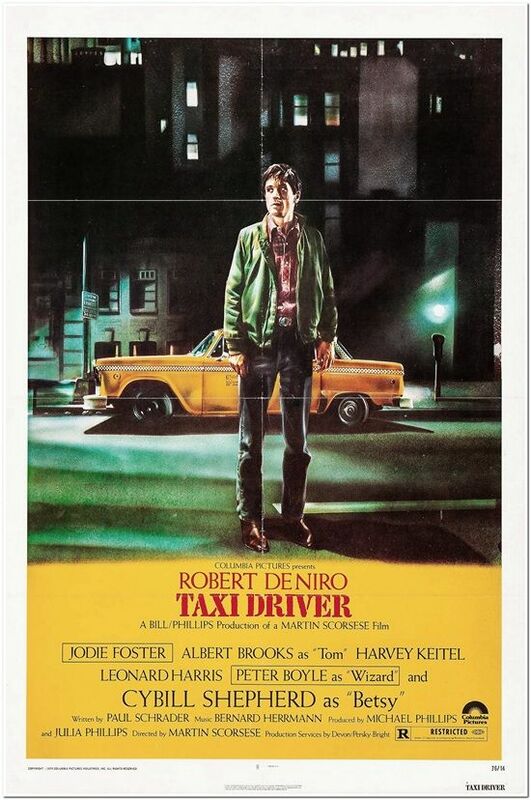 Iconic poster from the classic Martin Scorcese film - "TAXI DRIVER". This is an original US 1-sheet that measures approx. 27x41 inches in size. The poster is in mostly near mint condition with no notable flaws other than the typical fold line cracking. There is one staple pull at the bottom near the Columbia Pictures logo but not noticeable at all. A ding or two here and there but overall in great condition.